Although not technically a wildflower, you may find this flower on the ground in May and wonder what it is. It is the flower of the tulip poplar tree (tuliptree, yellow poplar). Tulip poplar is the tallest of the eastern hardwood trees, which is one reason why you may not have seen the flower before. It grows very high up in the canopy of the forest. Occasionally, the branches will break and the beautiful flowers will fall to the ground, like this one did. 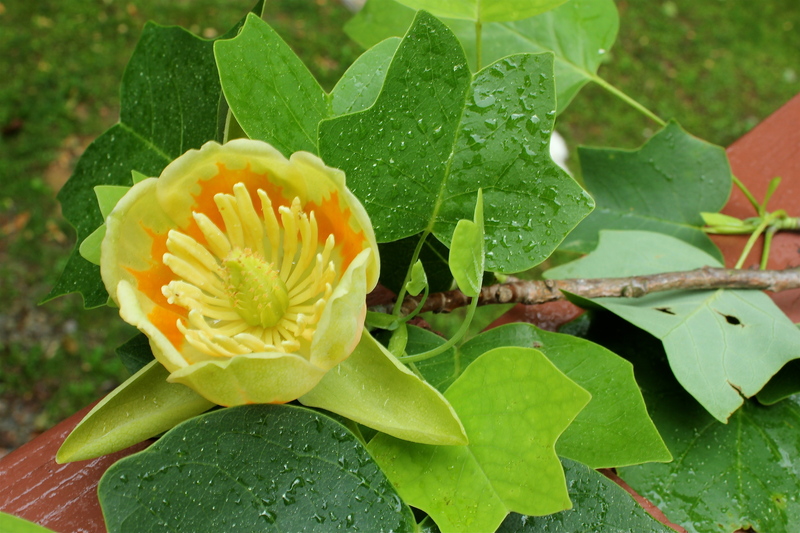 Tulip poplar flowers yield large amounts of nectar, making it a favorite of honey bees!